Orodreth prepares his defences as orcs march on the fortress. Despite a massive siege, the walls and defences of Minas Tirith hold. The orcs advance on Himring in the East. Maedhros stands fast. When the orcs attack the elves fight back with valour. Eventually Maedhros’ fury is so great that the orcs flee before him. Himring holds. Finrod rides to the aid of Minas Tirith. The fortress holds but the defenders are too few to hold out if the gates break. Finrod comes upon the army and smashes them, forcing them to retreat north. Orodreth leaves behind a small force and joins Finrod’s army, heading north. Fingon’s forces reach the nearly overrun fortress of Barad Eithel. Coming across an orc party fleeing Minas Tirith, Hador’s forces are attacked. 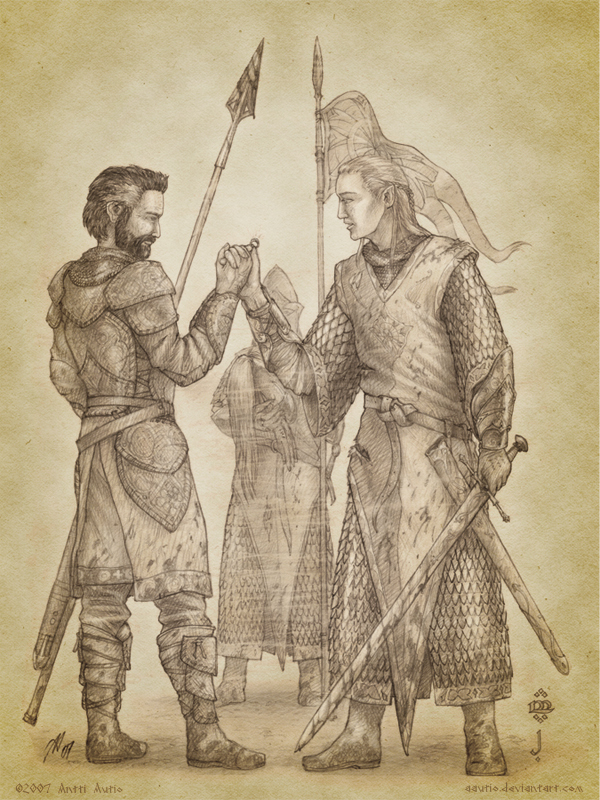 Hurin and Huor are separated from the army. Adapted from chapters ‘Of the Ruin of Beleriand and the Fall of Fingolfin’ from the Silmarillion and ‘The Grey Annals’ from The War of the Jewels. Fingolfin and Fingon drive off the orcs besieging the fortress and plan a counter-attack on Dorthonion. His army is joined by Hador, who volunteers to lead the vanguard. 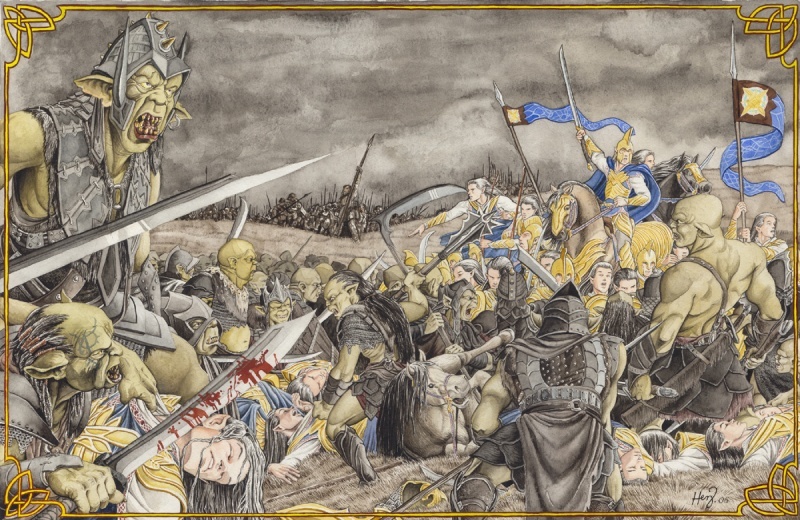 Finrod and his army hurry north to join Fingolfin, but are ambushed at Serech. Finrod is cut off from the bulk of his army and vastly outnumbered. Barahir comes across Finrod’s army and destroys the orc ambush. Finrod thanks Barahir. He swears an oath of friendship between families, giving him his ring. The ring is forever known as the Ring of Barahir. Hador rides on the massive army of orcs occupying Dorthonion, but he is set upon by balrogs. Fingon and Fingolfin come to his aid, but tens of thousands of men and elves are slain or captured. Fingolfin gives the order to retreat. Hador’s son Gundor is killed while retreating. Hador stands against the army alone covering his son’s body in a suicidal last stand. Fingon’s archers destroy the orcs attacking Hador. The orcs retreat back to Dorthonion. At Barad Eithel, Fingon recounts the losses of men and territory to Fingolfin. Fingolfin tells Fingon he will end the war alone. Fingolfin rides through the orc host in Ard-Galen, moonlight glowing off his armour. The orcs flee before him. 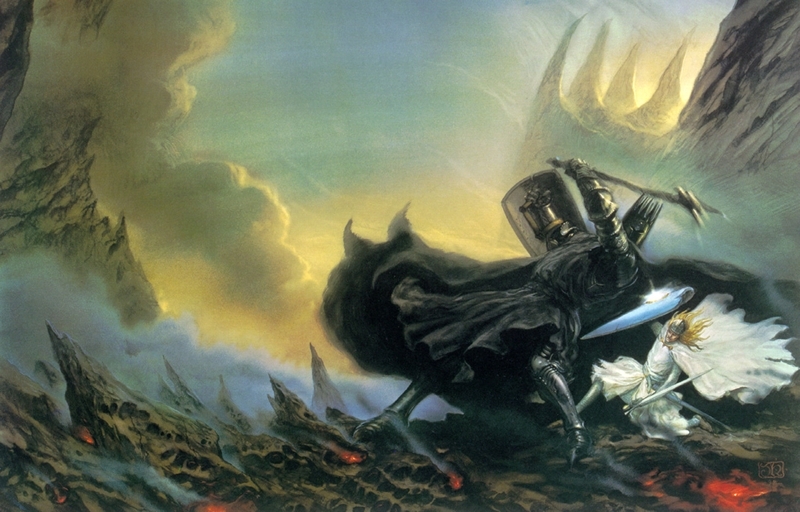 Fingolfin challenges Morgoth at the Gates of Angband. Morgoth accepts. Fingolfin wounds Morgoth seven times, but he is cast down by Grond. Fingolfin delivers a final blow to Morgoth’s foot, before being crushed by it. Watching the duel from afar, Thorondor flew down and stole Fingolfin’s body before it could be desecrated. 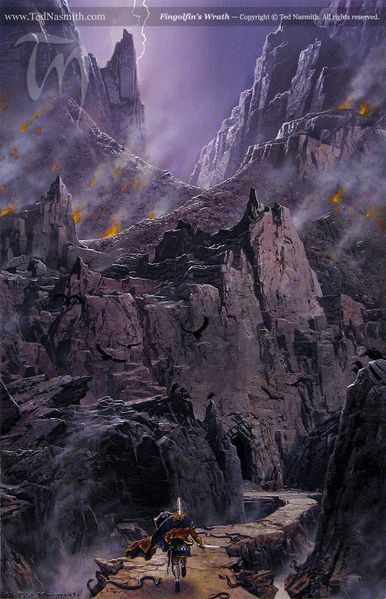 Adapted from chapters ‘Of the Ruin of Beleriand and the Fall of Fingolfin’ from The Silmarillion. 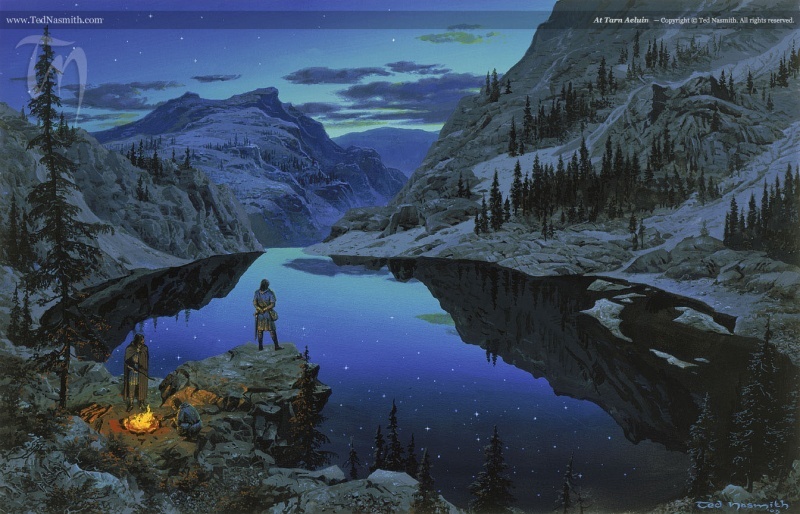 Thorondor brings Fingolfn’s body to a peak above Gondolin. Turgon sees this and hurries up there. He builds a cairn over his father’s body, before sending word to Fingon at Barad Eithel. 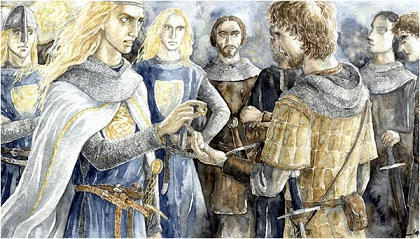 Finrod and Barahir meet with Fingon. They receive word of the King’s death from Thorondor. Fingon is named High King of the Noldor. Glaurung returns to Thangorodrim with ten thousand Noldorian prisoners. Sauron tells Morgoth of the lands and people they now control. Barahir manages to save many families who flee East. Refusing to leave behind his lands, he and 11 others form an outlaw band who remain in Dorthonion, contesting Morgoth’s rule. 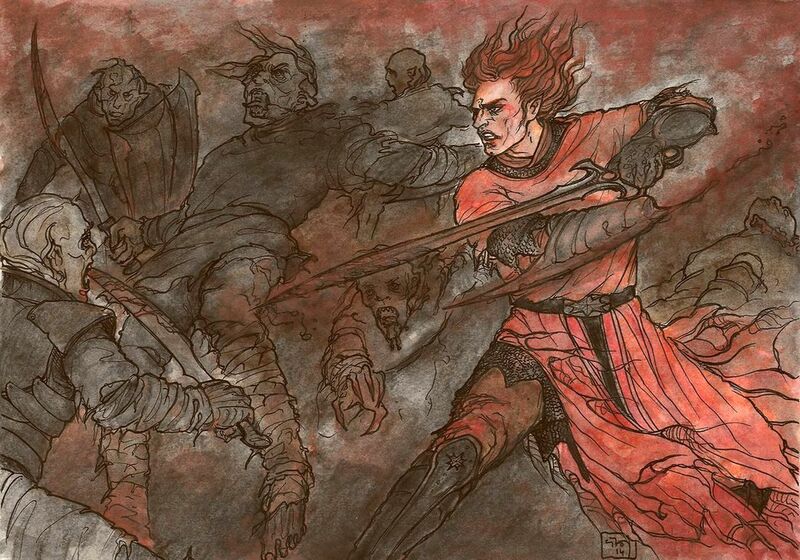 Maedhros and Maglor remained unharmed in the fortress. Maedhros tells Maglor they will continue to honour the oath and they will find their brothers. Ulmo speaks to Thorondor the Eagle, who is flying back to Gondolin. He convinces him to take Hurin and Huor to Gondolin. Hurin and Huor remain in the mist. Thorondor and his eagles come to them. Hurin is hesitant at first, but realises he has no other option. 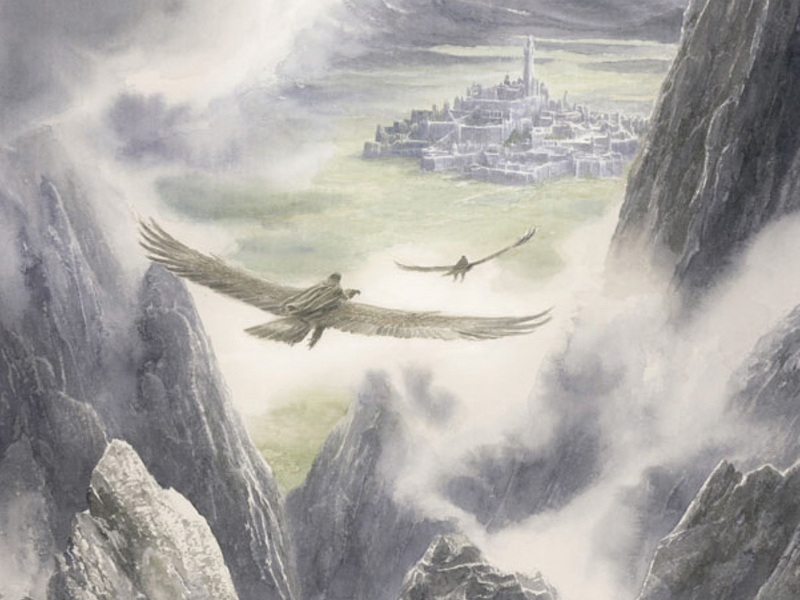 Thorondor flies Hurin and Huor to Gondolin, where he speaks with Turin about Ulmo’s words. Ulmo had said that the children of Hador will aid Gondolin in its darkest hour. Turgon welcomes the brothers. Adapted from chapters ‘Of the Ruin of Beleriand and the Fall of Fingolfin’ and ‘Of Beren and Luthien’ from The Silmarillion.